Coming from a fishing family we have a deep understanding of our seas the life within them and of the methods used to catch our seafood. We have always had small scale fishing boats using low impact methods. And now we source from other small boats too. From Lowestoft to Looe, Brixham to Peterhead we have friends and contacts all over the UK to help bring the very best fish to your plate. 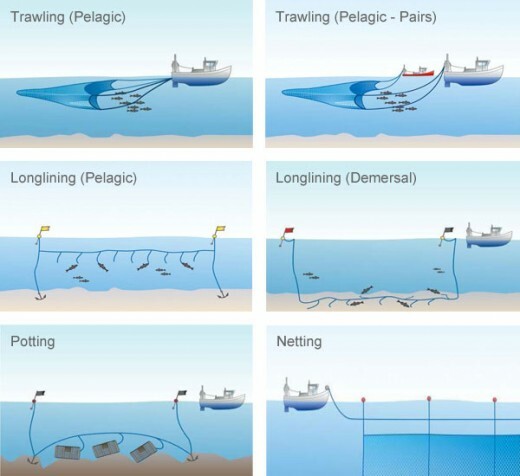 Using long lines, pots and nets low impact small scale vessels skippered by responsible men at the top of their game and with an eye on the future, we all want to see the fish stocks grow and prosper for generations to come. A sustainable fishery is a mixed fishery, by eating lots of different types of fish you can help the fishermen stay sustainable as they can take what’s available in abundance and not put too much pressure on any one stock. Try something different today. And also enjoy you old favourites. Rest assured we want nature to flourish just as much as you do.